When it comes to "return on innovation" – the rate at which research spending generates revenue – it looks like another banner year for the University of Oregon. Thanks to an 8.9 percent return for the fiscal year, the university is poised to retain its status from the previous year, numbering among the nation's top 20 universities for this metric. 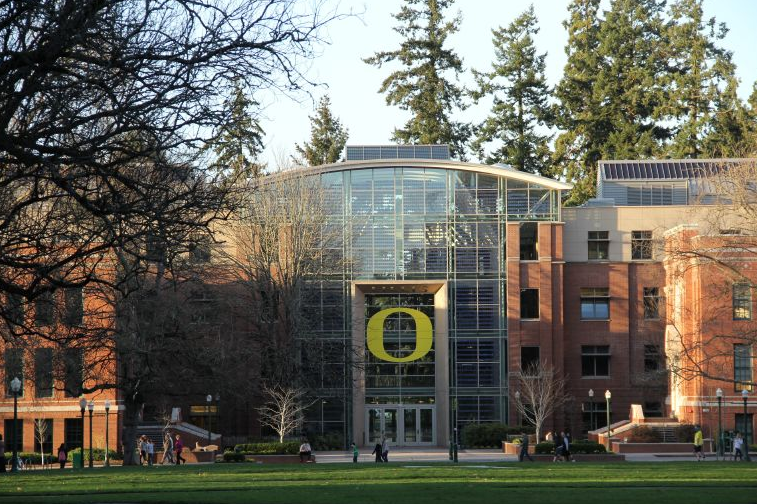 All told, the UO collected $7.9 million in the past year from licensing university-developed technologies, while its spinout companies generated $35.75 million in revenue during the 2011-12 academic year and employed 250 workers, benefitting the state economy. For the 2010 fiscal year, the UO produced $7.5 million in license income on $115.6 million in research expenditures, for an innovation yield of 6.48 percent. Many of the successful companies involve faculty members and alums: Technology Entrepreneurship Program (TEP) advisor and instructor Allan Cochrane is CEO of Cascade Prodrug, a biotech company developing new treatments for cancer; former TEP advisor Don Upson is a cofounder of QE Chemicals, a startup that's creating new chemical building blocks; R. Jon Hofmeister, MBA '05, founded Perpetua Power Source Technologies, the developer of advanced renewable energy solutions; and Lundquist Center for Entrepreneurship program manager Nathan Lillegard, MBA '06, was the cofounder and CEO of Floragenex, the genomics service provider. The UO’s innovation yield and its national placement have risen dramatically since 2000, when its yield stood at 0.5 percent and its ranking was 93rd – in the 34th percentile, nationwide.